A special selection of olives picked by hand in the olive grove of the historic “Circolo Golf degli Ulivi” of Sanremo. From pure Taggiasca olive. The artichoke’s aroma is clear, typical of the Taggiasca olive, with fresh olives and apple’s peel. A great mix of delicate and elegant aromas. The oil is certified PDO (Protected Denomination of Origin) for territorial traceability and FOE (Friend of the Earth) for sustainable agriculture. An excellence for real enthusiasts. 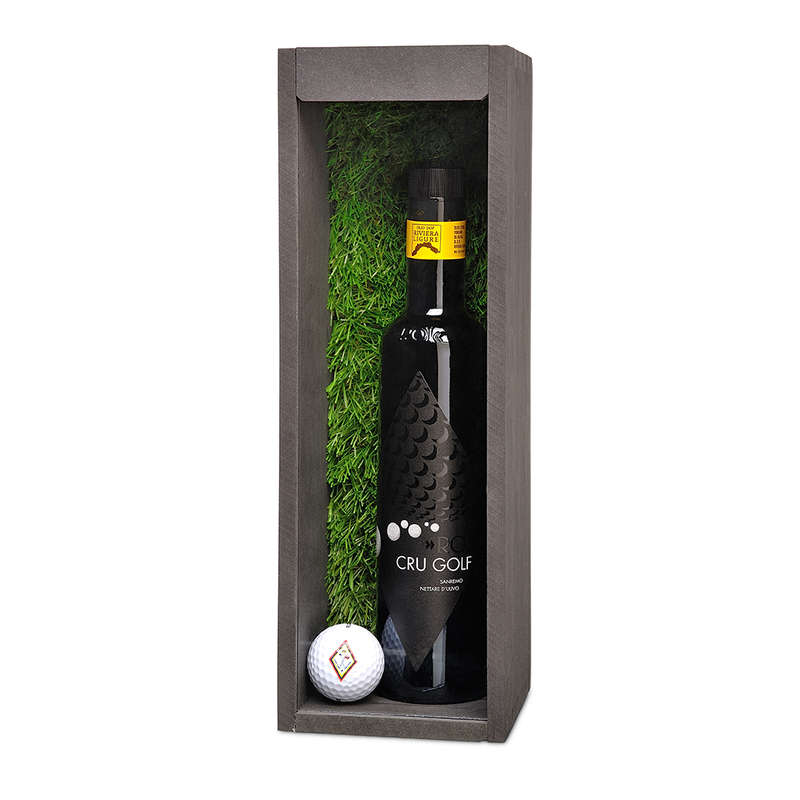 The precious packaging takes up the cornerstones of golf, with the green as a backdrop for the elegant bottle with embossed graphics. 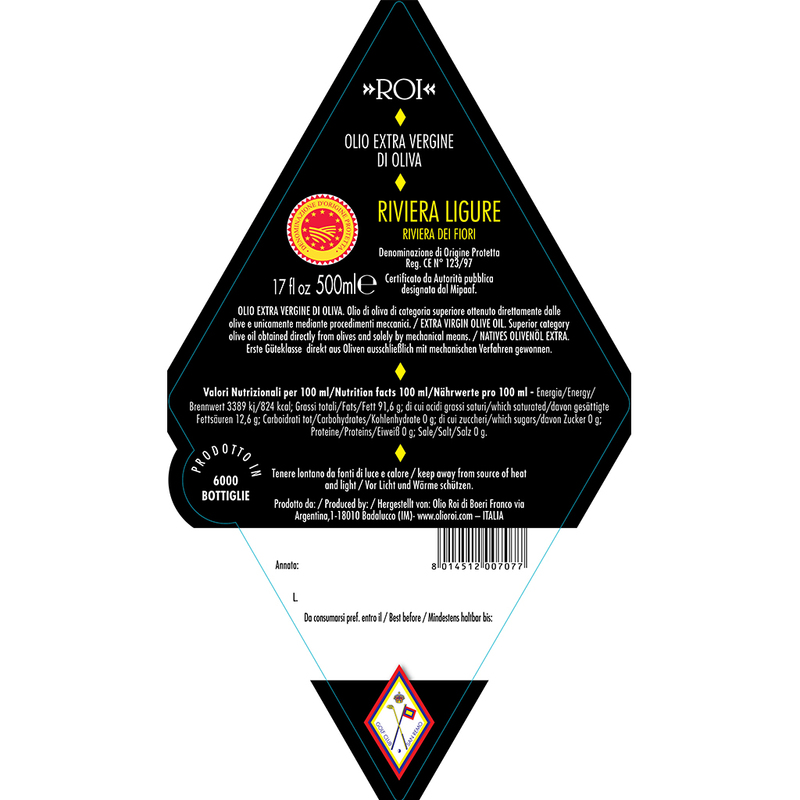 The real ball, marked Circolo Golf degli Ulivi and Olio Roi, is added to the 3D label. A gift for connoisseurs.